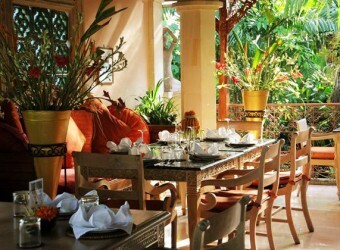 Bali Indus Restaurant is located close to Pita Maha Tjampuhan Resort & Spa about 5 minutes drive from the center of Ubud. You can enjoy delicious food while viewing nature scenery from open terrace seats on the second floor! You can also relax at sofa on the first floor. Latin music night on Monday and Friday, and enjoy jazz music on full moon night at this restaurant.